Since 1996, Granello Bakery has been providing freshly baked products to every major casino, specialty grocery chains, coffee houses, and the finest eating establishments in the Las Vegas area, in addition to servicing select national customers with a frozen product assortment. 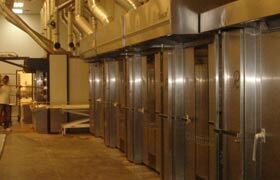 The bakery facilitates a unique blend of old world artisan bread-making traditions and a modern technology to create bread rich in flavors and textures that virtually guarantee product consistency. In keeping with the commitment to quality, all of the breads are made with the custom blends of flour by a dedicated and specially trained team of bakers. Box Lunches are given the same care to quality of products, with a wide range of breads to compliment the variety. 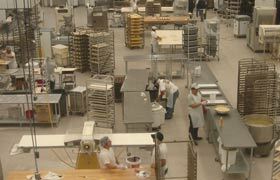 Granello Bakery has extensive R & D team who works with customers on specific custom products supplying local or national chains. 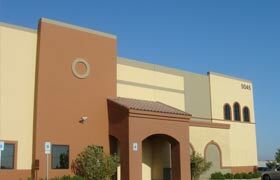 Our 42,000 sq ft state of the art facility, was built & designed for expansion to 75,000 sq ft in 2006.